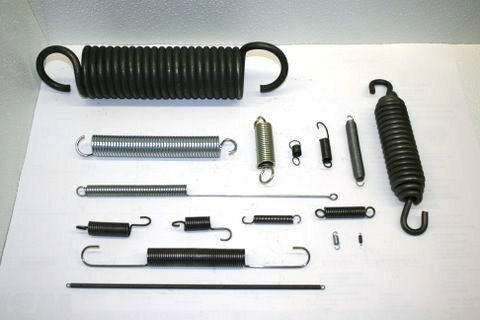 Extension springs are tight wound, helical springs that create a resistance to a pulling force. These springs are wound with an initial tension that holds the coils together. Initial tension is the force it takes to separate the coils. We can make these springs with machine hooks or loops, cross-over hooks or loops, extended hooks, swivel hooks, or any other type to fit your application. Terri, thank you for the wonderful service, AAAA always comes through for my custom Torsion Spring needs. © 2018 AAAA Specialties, Inc. All Rights Reserved.